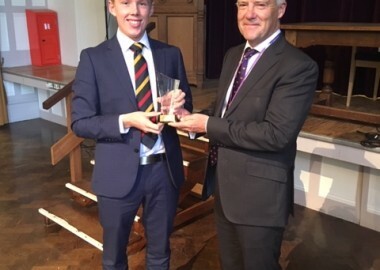 The Old Colcestrian Society President, Greg Dunn, awarded Year 13 student Ieuan Thomas the Tom Cullen Trophy for the second consecutive year at a Year 13 assembly last week. Ieuan had another excellent cricket season in which he took 23 wickets. 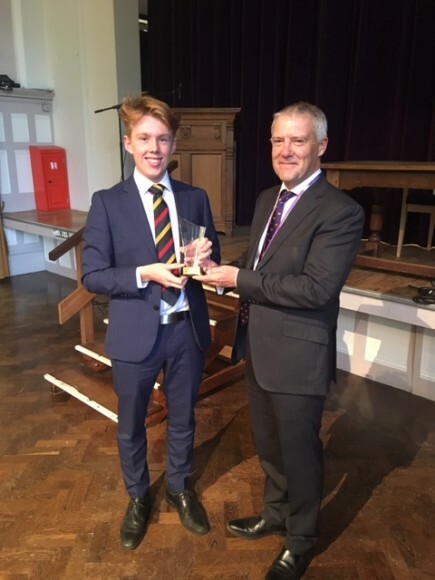 The trophy was presented by the Old Colcestrian Society in honour of Tom Cullen - the oldest living former CRGS student - who is 101 years old and was in his day, like Ieuan, a renowned wicket-taker.